Our rich history began in 1994 at 7159 S. Peoria in the beloved “house across the street” where we remained until 1998. 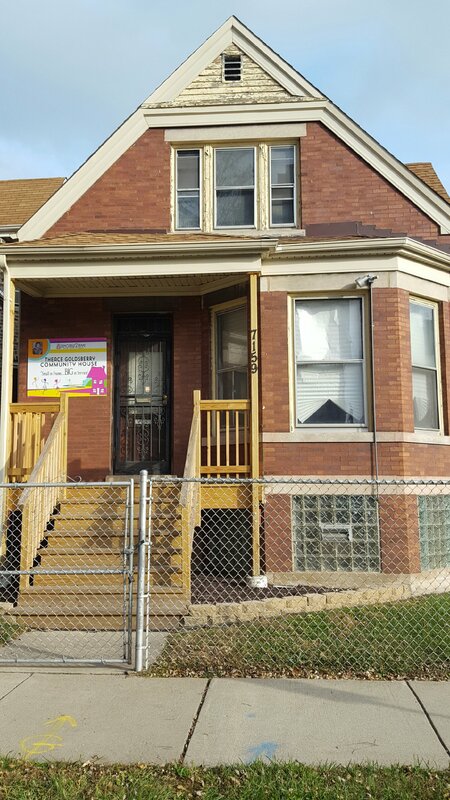 In 2015, the house was donated to Demoiselle 2 Femme, NFP by Faith Temple COGIC and has been renovated and transformed into the “Theace Goldsberry Community House.” Upon completion, the space will include reception, training/multi-purpose area, private office, kitchen/training area, tech/learning center , media center. Located in the Englewood community on Chicago’s south side, we are surrounded by low performing schools, vacant lots, boarded up homes, families in distress and excessive violence. The strength of resources and services provided “on the block” in this site will positively change the trajectory of families in our community. Our Model/Framework: Community Based Participatory Engagement as an Organizational Resident. This paradigm shift in nonprofit community engagement will create micro level services delivered to impact a specific target area in Englewood. We strive to do EVERYTHING in the spirit of excellence! 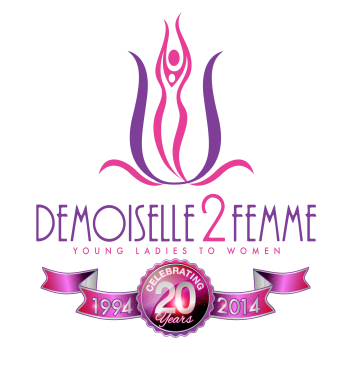 Target Population: D2F will continue to serve girls ages 13-18, however through various partnerships, programs and services will be made available to youth and adults. Priority Partnerships: IT and STEM programs (education, certification, training, etc. ), youth and adult literacy, tutors, mental health agencies/professionals, workforce development programs, culinary arts, obesity prevention programs, arts and media programs, reading and math specialists, retired teachers, pro social clubs. William H. Allen Annex (7159 S. Peoria) – The Annex is directly across the street from the Theace Goldsberry Community house. The Annex is owned and operated by Faith Temple COGIC and includes a state of the art kitchen, dining/multi-purpose area (accommodates 300) and five classrooms. Faith Temple COGIC is our official faith-based partner. This partnership supports D2F in community expansion through collaborative programming and services as well as space usage. We plan to officially open for programming and a day of community service on Monday, January 16th (Dr. King’s Holiday). We are praying for support to complete the house. Click here to visit our GoFundMe Campaign or download the list of needs.